I promised to discuss in greater detail the financial planning process. It consists of five steps, and six if you’re using a financial planner. It’s about managing each other’s expectations. The planner should clearly explain the services he is expected to provide, define each other’s responsibilities, frequency you expect to hear from him, compensation, duration of the relationship and more importantly how he derives his recommendations. In establishing your goals, be SMARTER (specific, measurable, attainable, relevant, time bound, escalating and rewarding). People fall prey to creating vague and ambiguous goals like “I want to be rich”. What do you mean by rich? Does having P10 million already mean you’re rich? Some may say yes but some want more. How would you even know you’ve already achieved your goal if there’s no numerical value in place? It’s like shooting on a target you can’t see. Assess your risk appetite at this stage. Always ask yourself how much you can afford to lose. Comically, this question may be the best gauge for you to know if somebody just wants to make a sale or is really after your best interest. If the person starts recommending products that promise high returns and without understanding your risk appetite, then you have a big problem. That person is just after some quick commissions from a sale. Document all relevant information about your personal and financial situation such as your health status and that of your family, your interest and hobbies, expectations about employment, possible change in lifestyle like getting married or retiring soon, assets and liabilities, current investments and performance, insurance policies, income and expense, etc. Contact us for a copy of the template we use. With the “big picture” view, it is now clearer and easier for you to identify potential pitfalls and misalignments. Ask yourself, do my cashflow, asset and liabilities, insurance, investments, match my goals? Does my risk appetite match my investments? Your risk appetite is low risk yet a big part of your investments is in equities. Do your investments match your goal’s time horizon? Your investments are in money market yet this is for your retirement that will happen in 10 years. With an untrained eye, some of these discrepancies might not be obvious. This is perhaps where an experienced financial planner will be most helpful. This requires choosing ways to achieve your goals. As you achieve your short-term goals, the goals next in priority will come into focus. This may include mapping how much you need to set aside as monthly savings, realignment of your investments, or adjusting your future lifestyle. Evaluate alternative courses of action, consider your life situation, personal values, and current economic conditions. Note that every decision closes off alternatives. By deciding to invest in the stock market now, it may mean you cannot take a vacation. A decision to go back to school full time may mean you cannot work full time. Opportunity cost is what you give up by making these choices. Many of these financial decisions will be challenging. So my tip would be to gather as much information based on your experience and the experiences of others or even better, involve a professional financial planner. Yes. Just implement. It may sound simple but many people may find this part to be the most difficult step. It takes a lot of discipline and desire to put your plan into action. Saving even a few even hundreds per month may be difficult especially if you’ve never done that before. People can easily be tempted to take no action, eventually leading to procrastination. Successful people will tell you that getting started is the most difficult but most important aspect in succeeding. Best advice–start gradually and be realistic. They’re not called “financial planning” for no reason. Plans evolve and change. Monitoring them regularly is vital to ensure that you’re always on track. Change and tweak your parameters as needed. 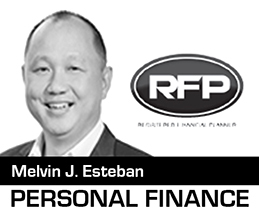 Events like marriage, child birth, career change, early retirement or events beyond your control like the recent changes in our tax, peso depreciation and sudden inflation surge will require a different perspective on your plan. Just remember, financial planning is a continuous cycle. Refer back to the steps as significant life and financial events occur. You may also want to sit down with a professional financial planner and reevaluate your plan on a regular basis. It’s best if you can do it once or twice a year. 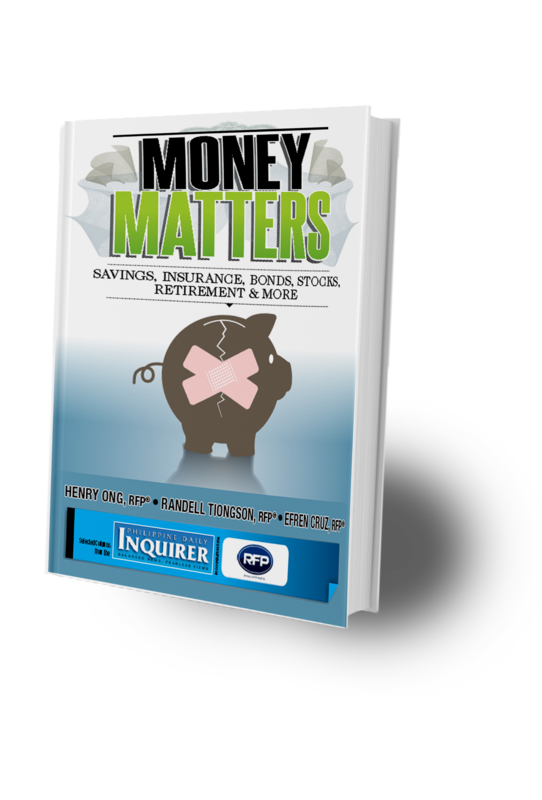 Watch out for my article on “Tips on choosing a financial planner”. Happy and wealthy living! Previous: Will The Stock Market Hit All-Time High This Year?